Virtual Tour NETTELHORST SCHOOL DISTRICT! WALK TO ALL THAT EAST LAKEVIEW HAS TO OFFER INCL THE LAKE, BROADWAY STRIP, CLARK ST, WRIGLEY FIELD & PUB TRANS FROM THIS INCREDIBLE S-FACING NEARLY 1900+ SQFT 3BD/3BA MAGAZINE-CALIBER HOME IN A METICULOUSLY MAINTAINED BOUTIQUE ELEVATOR BUILDING ON A PREMIER TREE-LINED STREET;HARDWOOD FLOORS & AMAZING PROFESSIONALLY ORGANIZED CLOSETS T/O;IN-UNIT W/D & UTILITY SINK IN EXTREMELY RARE OVERSIZED LAUNDRY RM W/ADDITIONAL STORAGE;LUXE GRANITE/SS BOSCH EAT-IN KITCHEN W/BREAKFAST BAR OPENS TO TRUE SEP DIN AREA & HUGE LIVING ROOM;SPA-CALIBER STONE BATHS INCL SEPARATE SHOWER & JET TUB IN MASTER SUITE;AMAZING COMMON GARAGE & BUILDING ROOF DECKS PERFECT FOR ENTERTAINING;ADDITIONAL STORAGE & ATTACHED 1-CAR GARAGE PARKING $25K. I was searching on Blue Fence and found this listing. 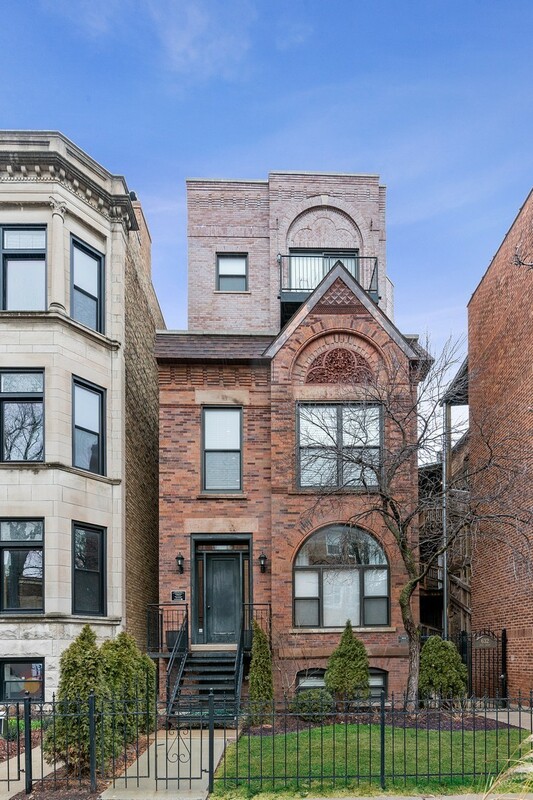 Please send me more information about 632 West Barry Avenue 1s, Chicago, Illinois 60657. Thank you.